Recessed spotlights or downlights are the base of modern kitchen lighting. 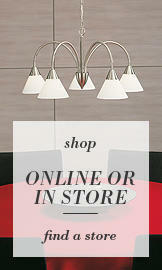 They are not only contemporary but an unobtrusive way to illuminate your home. To enable good ambient yet fantastic task lighting in your kitchen, recessed lights is the way forward. If you are a fan of clean lines, fuss-free lighting that provide simple yet effective lighting, this is perfect for you. Well-positioned recessed lighting in your kitchen will illuminate worktops, walls, and danger zones in the kitchen for added focus and precision. 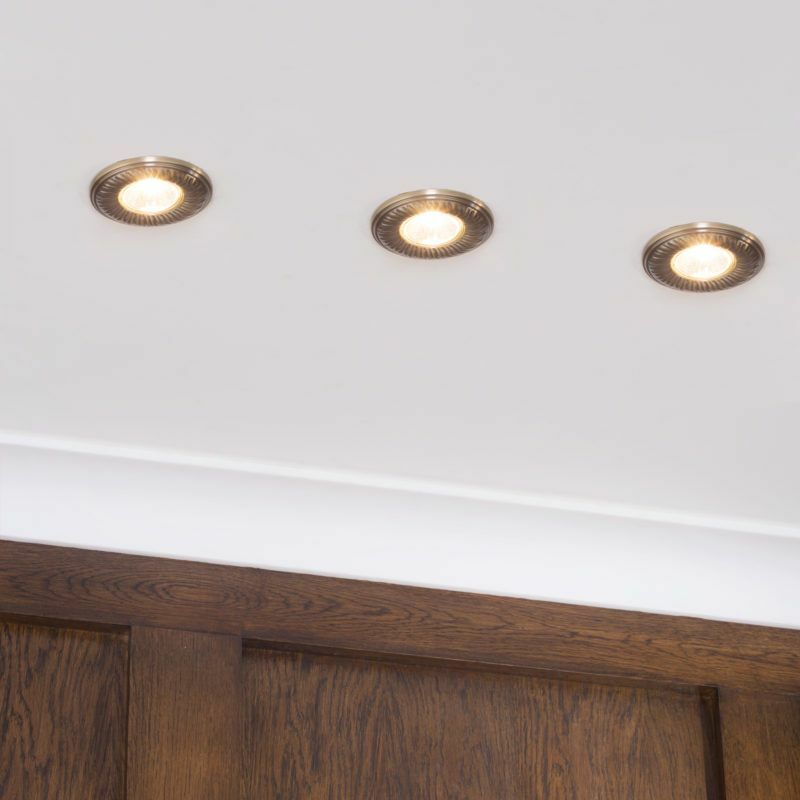 Find out how to pick the best recessed lights to replace older kitchen lighting for a new modern look. Recessed lights offer a discreet and practical style of lighting for your kitchen. It is minimalistic and functional in projecting task lighting to both an open-space or small kitchen. Furthermore, highlighting kitchen zones where food preparation and cooking will be done. So, it is absolutely key that you have a versatile lighting scheme which is functional and classy. Illuminating your kitchen with recessed lighting will give a direct and purposeful sense of light that will immensely prove useful within the home. When it comes down to picking out the best recessed lights for the kitchen. Consider what style and image you would like in your kitchen. 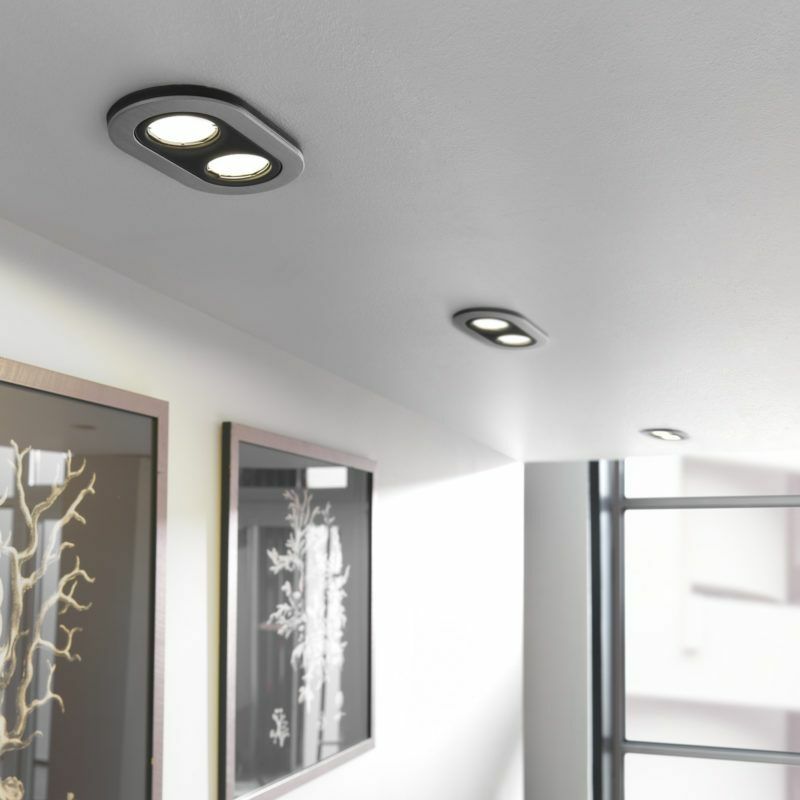 Litecraft has a massive variety of recessed lighting which can tailor to any style. We have a range of traditional finishes like antique brass and bronze with intricate designs for more vintage, traditional homes. Also, for a more contemporary kitchen, we stock a variety of steel, black chrome and black finishes. So, downlights can tailor nicely with all sorts of interiors for a more effective kitchen. Measure the square footage of the kitchen by multiplying its width by its depth. Multiply this square footage by 1.5. This will give you a guideline for the total wattage requires lighting the space. Litecraft always recommend using LED light bulbs LED light bulbs as they’re long-lasting and most cost-efficient source of light. Select the bulb and wattage you want to use. Divide the total wattage by the figure previously calculated, by the bulb wattage you intend to use and this will give you the number of fixtures required. This is universal to any size room, it’s not about how large the fitting is, it’s the light source that it projects. Ensure that you avoid the grid method, tailor that positioning to get the most out of your lighting and well-spaced apart for better functionality. Please note that this is a rough guide and you should contact a qualified electrician if you want further guidelines in completing the installation. Recessed lighting act as smooth, clean and modern lighting options which all service a purpose of highlighting various sections of a room. There are different types of recessed lighting which you can choose to your preference. The standard recessed downlight simply sits flush to the ceiling, making them great for lower ceilings. If you have an open-space, adjustable recessed spotlights allow you to adjust the light projection onto a certain surface, for increased precision. 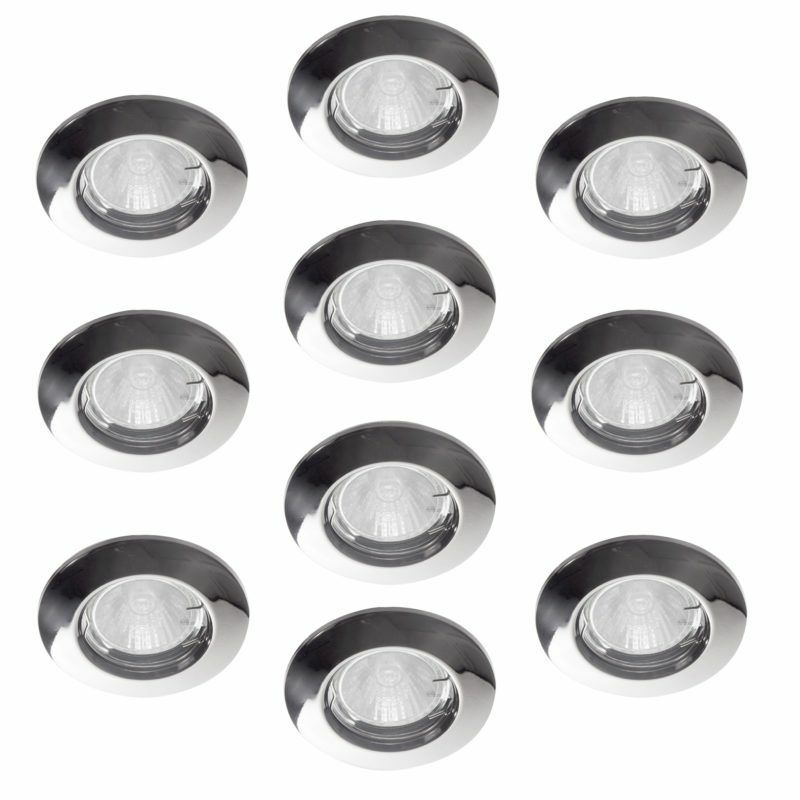 Also, fire-rated downlights are superb for lighting that can be utilised when performing tasks in the kitchen. They have a simple yet subtle style which doesn’t take away from the design of the interior. What is so special about fire-rated downlights? 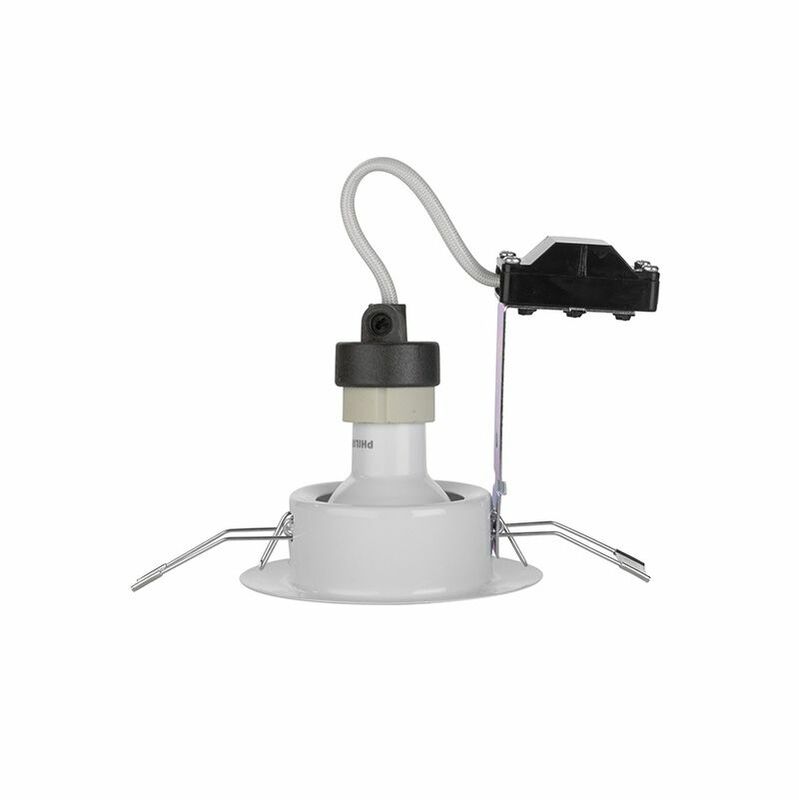 When a hole is cut into a ceiling to mount a recessed downlight, a potential fire hazard is created. In any building where people may be living or inhabiting above. The ceiling below must be fire rated. 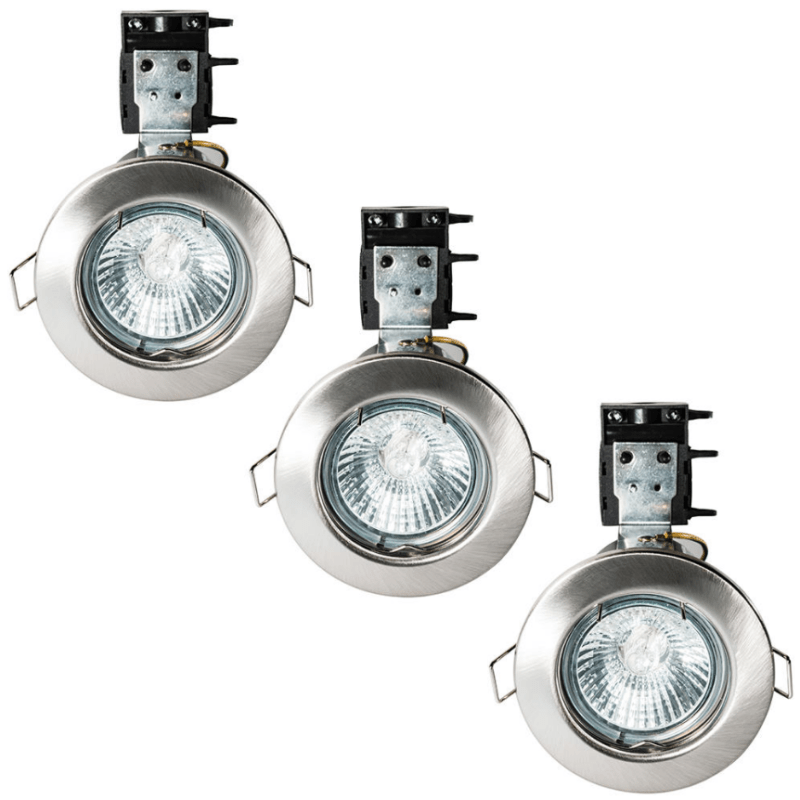 Modern fire rated downlights are fitted with an intumescent pad which swells up when it reaches a certain temperature and blocks the spread of fire. So, in the event of a fire, the padding will seal off the hole and slow down the spread of a fire. Recessed downlights bring a modern element to any kitchen interior. It’s practical, modern and classical. Bringing purposeful illumination to your worktops in the kitchen proving great versatility in a kitchen.